Marketers are spending more of their budgets on digital marketing, including social media, according to the 2018 CMO Survey. Marketing propels businesses as it increases brand awareness, customer engagement and sales. With online media rising, there is a higher demand for social marketing. Social media marketing refers to techniques that use social networks to increase brand or company awareness or promote particular products. Social media marketing campaigns usually center around creating shareable or interesting content. Whether it’s on social media platforms, such as LinkedIn business pages, Twitter for business, or Instagram, social marketing is intended to connect individuals. Since 2001, with the advent of the “Golden Era” of social media, social media marketing has quickly evolved and continues to innovate. How does Social Media Marketing Benefit a Business? Social media marketing gives your business human qualities, such as demonstrating how your customer service department is personable and easy to work with. It also allows companies to become content authorities by sharing meaningful and helpful content. Social marketing can be very efficient since it involves others sharing your content organically. Customers become advocates who talk highly about your products, influencing others to conduct business with you. Brand awareness also increases as individuals share their insights and thoughts about your products or service offerings. Just as in the traditional marketing mix, social marketing employs the 4 Ps model. The 4 Ps model is designed to put the right product, at the right price, in the right place at the right time. Product—your product is your content, so make sure you speak in a consistent voice across all your marketing efforts, including social media. Price—establishes how much the product or service will cost and impacts everything from profit margins to supply, demand and marketing strategy. Make sure you are using the right tools, such has HubSpot, to measure your social media ROI. Place—take the time to understand which social media platforms your customers use. For B2B it's likely LinkedIn. And don't forget about YouTube—it's quickly becoming the hottest platform and videos become so popular. 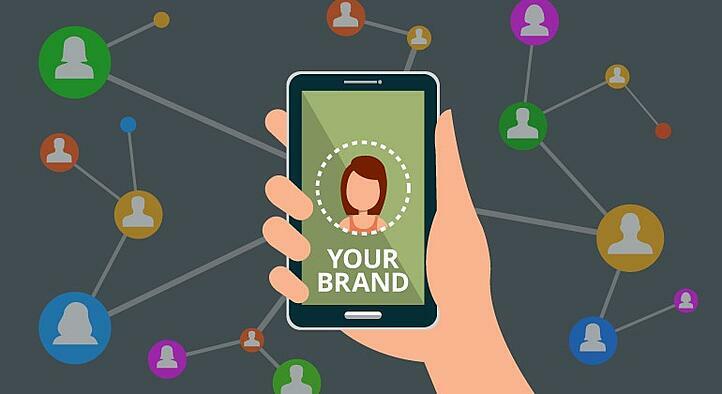 Promotion—How are you promoting your product or service on social media sites? Do contests make sense? Are you creating valuable content that encourages your customers to share and comment? Look at what your competitors are doing on social media, too, to get more ideas. In order to grow your social following, you need to grab your audience’s attention and hold their interest with engaging, pertinent and remarkable content geared toward their pain points and interests. You will also want to follow people that are interested in your product, service or company as these individuals are more likely to share your posts and advocate for you with their followers. Interact with your followers. If they message, comment or reply to a post, respond to them in a timely matter. Incorporate hash tags into your posts to help get the ball rolling on the topic, encouraging your audience to respond. It is important to be seen on a variety of mediums directed at your marketing personas. A wider array of mediums will reach a larger portion of your target audience. Much of social media is all about the visual. Learn about social media image optimization to ensure your visuals fit each platform. Make sure to have variety of content alternating between videos, images and text to effectively engage audience. At MZ we enjoy interacting with our clients and followers. We share our marketing expertise, but also we value connecting on a personal level through social marketing. We’ve seen how social marketing positively impacts our customers.